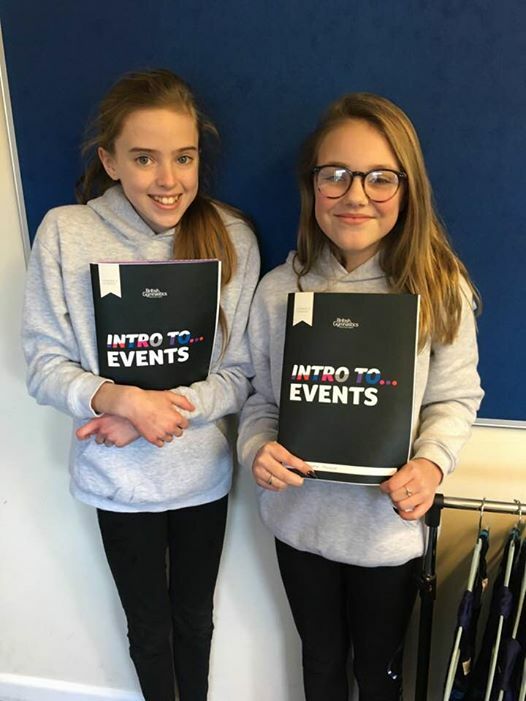 This was a really productive day with Hannah tutoring an ‘Intro to Events’ course to 24 eager young leaders from Blandford Gym Club, Gryphon West Gym Club and Swanage Gymnastics. Here are our two after a busy day of learning! Well done Girls.